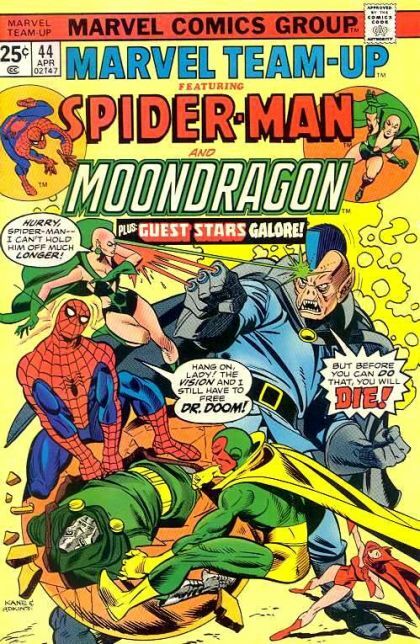 Spider-Man and Moondragon: Death in the Year Before Yesterday! The Dark Rider starts feeding off Doctor Doom, while the Scarlet Witch has drafted Moondragon to the cause. The heroes may be able to defeat the Dark Rider if they can cut off the source of his power, but will they also be in time to save the victims of the Salem Witch Trials?